There’s a huge quantity of stuff I want to – indeed, need to – blog about. But I can’t. Too much work and not enough time. But something interesting just happened and I feel it’s worthy of mention here. In September 2010, Tetrapod Zoology Book One (Naish 2010) was published (on or around the 27th, to be precise), and thank you facebook for reminding me that eight years have passed since then (yup, the maths checks out). This is painful to hear, because my intention was always to churn out additional volumes in the series every few years: the idea being that I would, by now, be four or five or more books into the series. But no. I despair over how little time I have to do the things I want, and how much there is that I want to do and still haven’t done. It’s on my mind all the time. Why couldn’t I be born rich? Huh. If anything might be considered emblematic of Book One it’s giant killer eagles. Golden eagles can and do kill domestic cattle calves. Image: Darren Naish. Anyway… Tetrapod Zoology Book One was well received at the time of publishing; I know of one published review (Pihlstrom 2011), and the few I’ve seen on blogs and on amazon are fair. The book feels something like a random assortment of essays on diverse tetrapod groups but at least it compiles articles (albeit not all of them) that appeared on Tet Zoo ver 1 back in 2006. Giant killer eagles, British big cats, Indian Ocean giant tortoises, the Ichthyosaur Wars, olms, azhdarchids, eagles owls in Britain, the discovery of the Kipunji, bird-eating bats and more get coverage. Steve Backshall very kindly wrote the foreword. The book’s existence is owed to Karl Shuker who emphasised to me in a bar one time how getting (quality, ahem) material written for a blog into actual print is worthwhile, possibly a necessity. I’m inclined to agree. Not everyone thinks this way in the age of the internet and digital storage, but I do and I remain attached to books as physical objects. I literally do not remember the ebooks I own but cannot say the same of the dead-tree objects that I associate with the physical spaces where I’ve interacted with them. Wow, that sounded weird. I later discussed the idea with Jon Downes and ended up having the book published through his CFZ Press, though I misunderstood the finances of the deal we made because I’m a freakin’ idiot. Whatever. No no NO — you do NOT own too many book already! BUY MORE!!! Digital books don’t work, I tell you. Image: Darren Naish. A printing error (though you could describe it in another way if you wished) led to the very first batch of this book being called Tetrapood Zoology: Book One on the spine. That initial batch (of around 300 books, I think) sold out and are now much sought after – I’ve retained one copy and I know other people who won’t sell theirs because they like the typo so much. The second printing is technically a second edition (it even says so inside the book); two editions within the space of a year, woo-hoo! Spot the cryptic typo. Image: Dallas Krentzel. The excellent cover art was produced by my friend and colleague Memo Kösemen. I don’t think I’ve previously shared the fact that we went through several iterations before deciding on the final version, and here are two of them. Art by the brilliant C. M. Kösemen. Incidentally - and wholly coincidentally - Kevin Schreck’s movie Tangent Realms: The World of C. M. Kösemen premiered today in New York! That’ll do. The plan to publish follow-up volumes remains very much alive, but there are several major projects in the way before anything happens there, and there are things in the way stopping those things from happening, and yet other things too that stop those things from happening as well. I’ll get it all done one day. Or maybe I won’t. It sure feels that way at the moment. Gah. Thank you to those who support my research and writing at patreon. Naish, D. 2010. Tetrapod Zoology: Book One. CFZ Press, Woolsery, Devon. Pihlstrom, H. 2011. 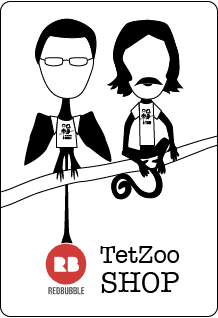 Book review: Tetrapod zoology book one. Historical Biology 23, 439-440. Posted in books, book reviews and tagged with books, book reviews. September 27, 2018 by Darren Naish.